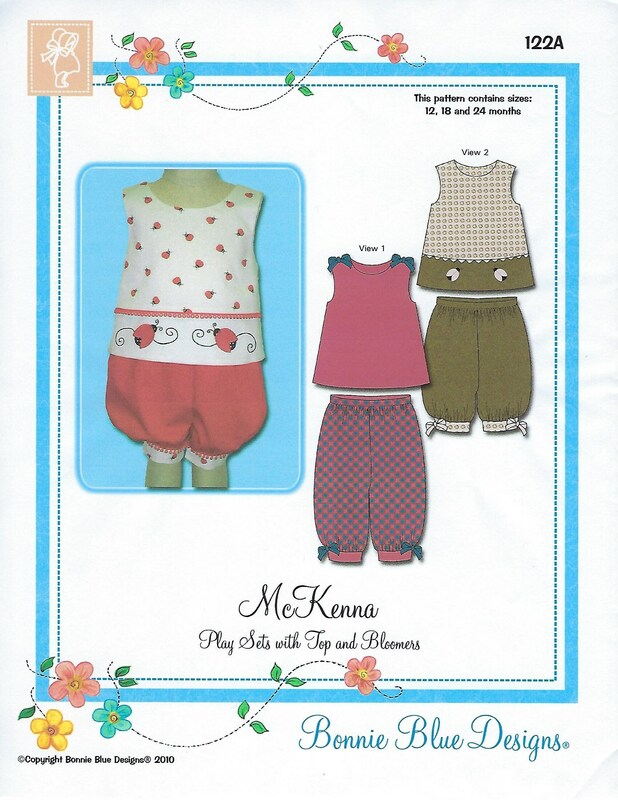 Package includes patterns and instructions to make Play Sets with Top and Bloomers. Easy to make and fun to wear back buttoned top with knee and ankle length cuffed bloomers. View 1 top and bloomers feature contrast ribbon ties. View 2 top features contrast band with applique ladybugs. Detailed instructions and illustrations are included for quick and easy construction. "Piping How To's" and "How to Make Piping" instructions included! 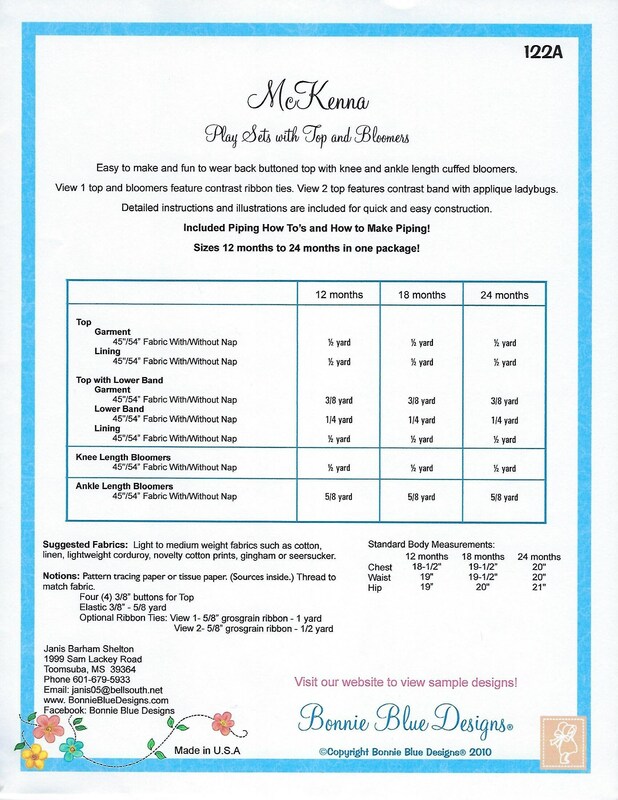 122A (12 mo, 18 mo, 24 mo) - All sizes included in one envelope. 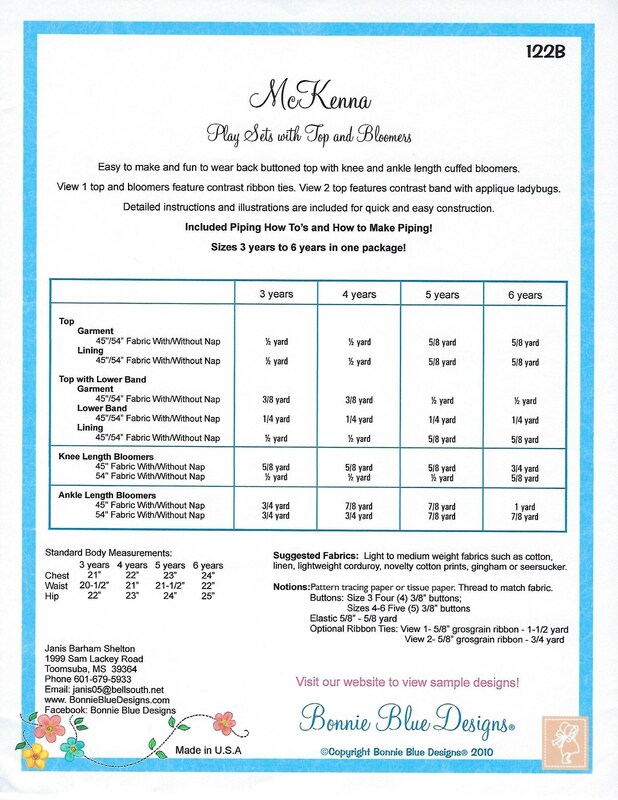 122B (3 yr, 4 yr, 5 yr, 6 yr) - All sizes included in one envelope.